The Salvation Army is the largest music educator in the world, with offerings in brass, vocal, guitar, drums and more. Music also plays a very large part in the Army’s worship activities, with praise dance, gospel choirs and band performances. The Metropolitan Division is a fully equipped and empowered Army of Christ’s followers passionately and effectively engaged in holistic ministries that are restoring people spiritually, emotionally and physically. 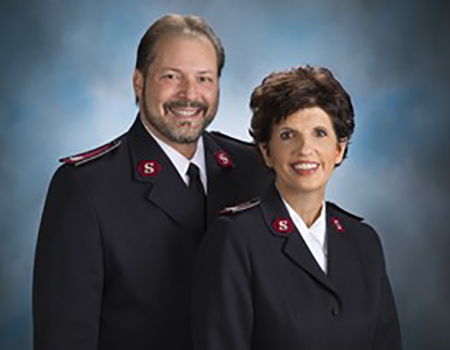 Lt. Colonels Charles H. Smith and Sharon Smith are Divisional Commander and Director of Women’s Ministries respectively for The Salvation Army Metropolitan Division. The Smiths have served in several leadership positions with The Salvation Army Central Territory. For more than 40 years, The Smiths have served as officers in The Salvation Army, sharing their leadership experience, vision and ministry. They are supported by numerous officers, dedicated staff, and board members. To find ways to volunteer and support your community, view our volunteer opportunities. Please contact us at 773-725-1100. If you need additional assistance, The Salvation Army Metropolitan Division's Social Services department can be reached at 773-205-3520 or email us.